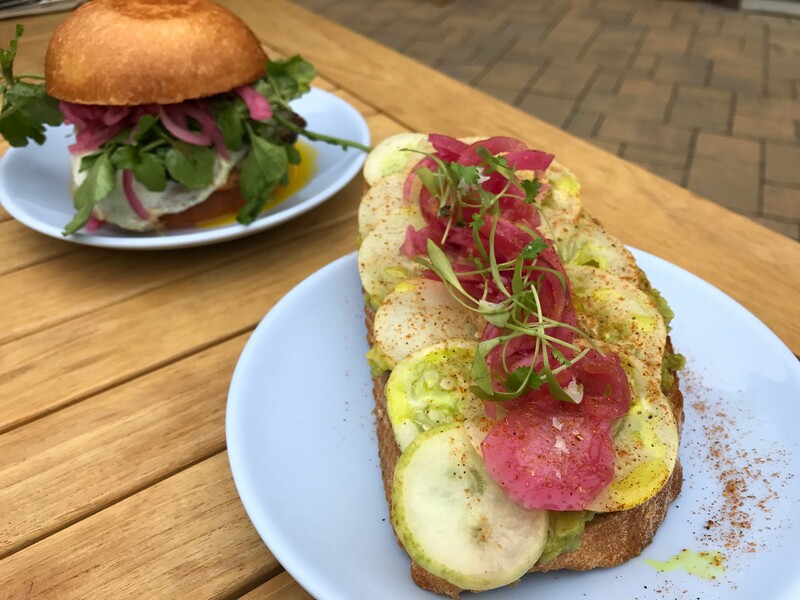 Weekday breakfast at Navi Kitchen is back, including avocado toast and the Croque Gadame. This week, Navi Kitchen is ditching dinner in favor of breakfast, lunch, and special events. Preeti Mistry said her Indian pizza joint (5000 Adeline St., Emeryville) has been consistently busiest during daytime hours over the past several months, so the move makes sense. Initially, Navi Kitchen operated as an all-day cafe serving breakfast, lunch, and dinner. Then it transitioned away from weekday breakfast for a while. But now those tasty morning sandwiches — full of runny eggs and vibrant chutneys — and toasts are available all day, six days a week. Pizzas incorporating Indian flavors are still a big part of Navi Kitchen, but now the restaurant offers just four a day — two of which will be daily changing specials. The Grateful Guju, Mistry’s most popular pie starring fenugreek pesto, will be a mainstay, as well as a new breakfast pizza with chai-spiced bacon and eggs. It fits with Mistry’s post-Juhu Beach Club life. Also new are half pies for $10 and par-baked pizzas that folks can pick up and finish cooking at home for dinner. Juhu Beach Club brunch fans should peep Navi’s expanded brunch options, which include doswaffles — Mistry’s gluten-free, dosa-waffle hybrid — with spicy fried chicken. Otherwise, the transition frees the Navi Kitchen space for more one-off dinners, collaborations, and pop-ups, as well as catering and private events. Keep an eye on Navi's Instagram (@NaviKitchen) for updates.